The New Covenant Baptist Church of Orlando is a wholistic ministry which covenants to demonstrate the love of God through our worship, through teaching and preaching the Gospel of Jesus and providing spiritual, physical, financial, social, and community healing and empowerment. 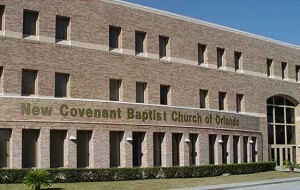 The New Covenant Baptist Church of Orlando was formulated in the minds and hearts of Doctors Randolph and LaVon Bracy in the late eighties. Then, they were in a quandary as to where God was leading them. In 1992, the Bracys’ under the auspices of the Holy Spirit launched out into a totally new direction as founders of the New Covenant Baptist Church of Orlando. On August 19, 1992, an organizational meeting was held at the Catalina Inn of Orlando. At that meeting, Reverend and Mrs. Bracy were recognized as founders, and Reverend Bracy was called as Pastor. Two hundred eighty-nine persons (289) verbalized their fidelity, took an oath, and pledged their support as members of the New Covenant Church. On Sunday, August 23, 1992, the first, official service of the New Covenant Baptist Church took place at the Winter Park Civic Center. More than four hundred were in attendance at this first worship service. On August 22, 1996, four years after the start of the New Covenant Church, Pastor Bracy and congregation marched into the new facility called the “Miracle on Rio Grande” the first phase, three story, 30,000 square, state-of-the art family life building. By this time, the Church had purchased 23 acres of waterfront property for its four phase Master Plan project. The Church commenced building phase two of its Master Plan. A 122 unit senior citizen apartment units called Covenant by the Lakes Senior Apartments. The facility was ready for occupancy April 2006. God continues to do great things with the New Covenant Church and we are glad!